long shot of the lincoln memorial and the world war two memorial at sunrise in washington d.c.
hd00:18WASHINGTON, D.C. - Tourists stand inside the gates taking pictures of the White House in Washington, D.C.
hd00:12The Lincoln Memorial, rear side facing Memorial Bridge, with car traffic and pretty clouds. Early afternoon rush hour traffic headed to Memorial Bridge and Northern Virginia. sd00:13Pedestrians walk outside of the Ho Chi Minh Tomb in Hanoi, Vietnam. 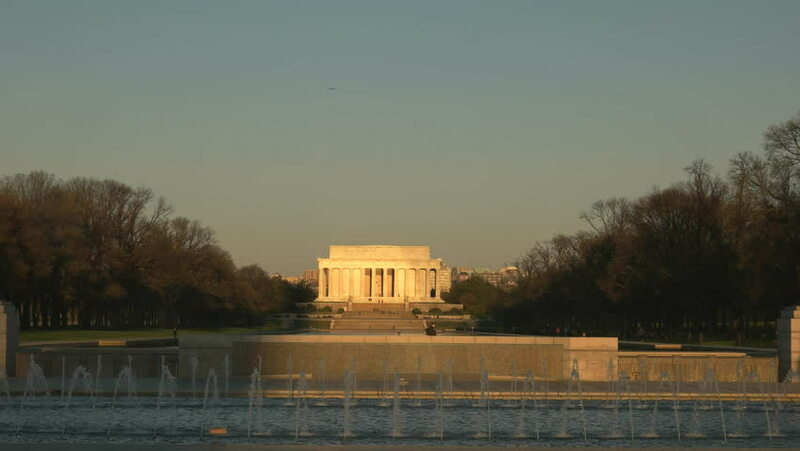 hd00:12lincoln memorial in washington d.c.